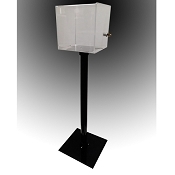 This is a great option to use in larger high traffic areas where a counter style contest ballot box would not work as well. 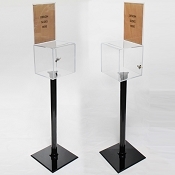 Floor-Standing Box with cam lever lock includes a security pen. 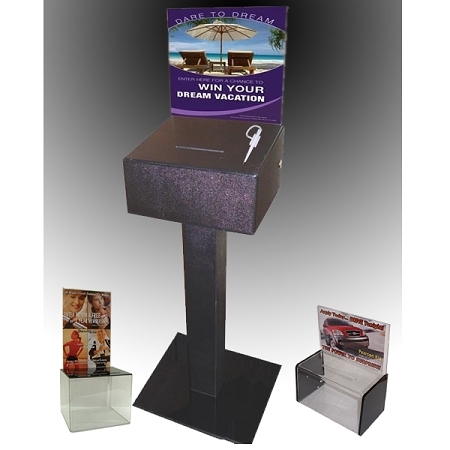 You can use this box to collect leads at a big box department store or a tradeshow type function or set it up to collect donations for your charity or fundraising program. This item is made from high strength black ABS plastic. 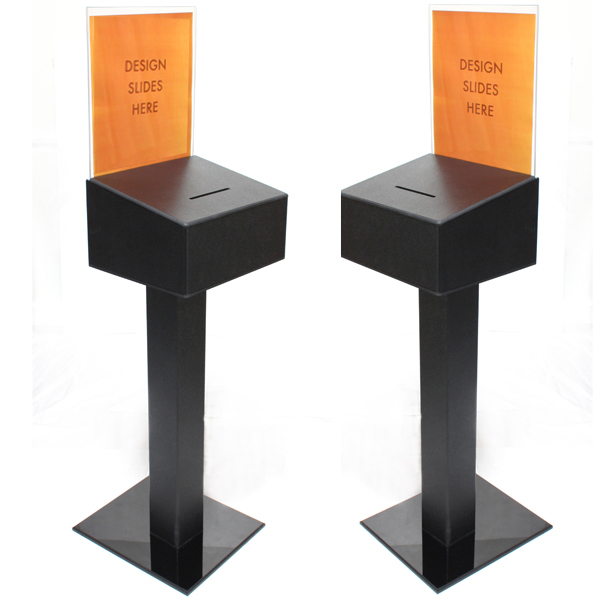 The base plate is made from 1/2" thick black acryclic plastic. Some assembly is required. Tools needed: short phillips screwdriver. Optional: pliers or a wrench. 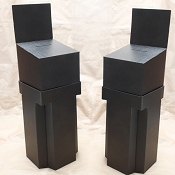 Box size: 14" wide x 11 1/2" deep x 8" tall(back). 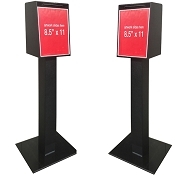 Clear Display Size: 13 1/2" wide x 12" tall or 14" tall. Total height of the 900 box is 51" or 53" depending the header selected. Height of top of box for writing purposes is 38 1/2" from ground. This box is Made in America.